Before the advent of platforms such as Shopify, Magento, WordPress, OpenCart, etc., running an ECommerce website was a tedious task. Managing everything from orders, inventory, marketing and then security, demanded a team and a sound budget. Big players dominated every aspect of e-commerce. The proliferation of shopping platforms such as Shopify, OpenCart, and others have made it easy for anyone with a little technical knowledge to start a shop. Due to the ease of use, these platforms have contributed to a great boom in e-commerce stores. Now, there are a large number of e-commerce stores. Some of them sell everything and anything like Amazon, while some are more focused on a particular niche. But this large boom also caused a huge increase in online credit card fraud. Because most of the stores are managed by people without advanced knowledge of technology, payment gateways, and other things, it was easy for cyber crooks to get away with payment frauds. Even the big e-commerce players suffer carding attempts on a regular basis. Note: As per Wikipedia, Carding means trafficking of credit cards, bank accounts or similar personal information intended for conducting fraud. Carding also involves money laundering techniques, encompasses procurement of details. Bitcoin and so on for any possible frauds. investigate high-risk orders using a simple administrative dashboard. rules. Further analysis can also be done quickly via the dashboard. How does FraudLabs Pro detect fraud? The system is a combination of Artificial Intelligence, algorithms, blacklists and rules. FraudLabs Pro provides merchants with the option to accept or reject transactions; this helps the algorithm learn even more and become more accurate. They also put into use proper moderation of IP addresses, credit cards, email addresses based upon curated data. The blacklists are highly accurate in catching any fraud occurrence. FraudLabs Pro is currently supported on platforms such as Shopify, OpenCart, WooCommerce, WHMCS, Prestashop, Magento, BigCommerce, CS-Cart, AbanteCart, LiteCart, CubeCart, Miwo Shop, osCommerce, WP E-commerce, Virtuemart, PinnacleCart and Arastta. FraudLabs Pro offers a free plan to start. It isn’t a free trial, but rather a free plan if you have up to 500 orders per month. This is brilliant for businesses who are still small but want to secure their online stores against fraud. No credit card details are required; which means no hidden charges or commitment. The software offers a multitude of options to get your store secured. You can either use the default fraud score which is based on a comprehensive array of factors to determine whether an order is fraudulent or you can customize your own validation rules to target specific orders. You can also use a combination of both. The brand has been around for quite a while and is available in more than 16 shopping platforms. They are clearly the leader in the industry by the number of supported platforms. The installation is quite simple and only takes a couple of minutes. All you need to do is install their free plugin in the supported platform then enter the API key and configure everything to get started. As I mentioned, FraudLabs Pro works on a blacklist-based algorithm and over time they have developed a secure system to detect any malicious fraud. Here are some of the basis on which the application ranks a transaction. 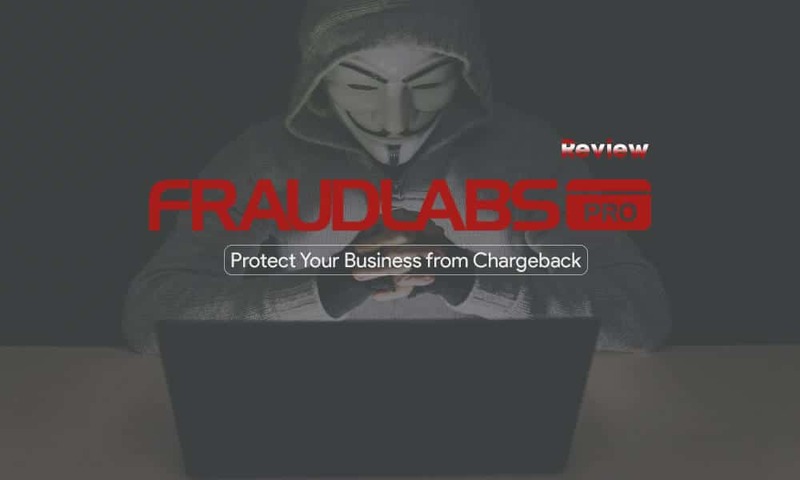 If you’re an e-Commerce store owner and tearing your hair out trying to combat fraud, FraudLabs Pro is undoubtedly something that you should get your hands on. So far, I’ve not found any hassles or problems with the service. If you’re a blogger, you can promote it as an affiliate as well. If you're a business owner or someone who is tired of fraud transactions on your platform, FraudLabs is something you should surely try. Plugs in easily to every day work - and has so far caught several orders which would otherwise have gone straight to our fulfilment house, only for goods to be dispatched, and chargebacks raised.